The Trickey Warren Run was held on Sunday dispite the less than perfect conditions. 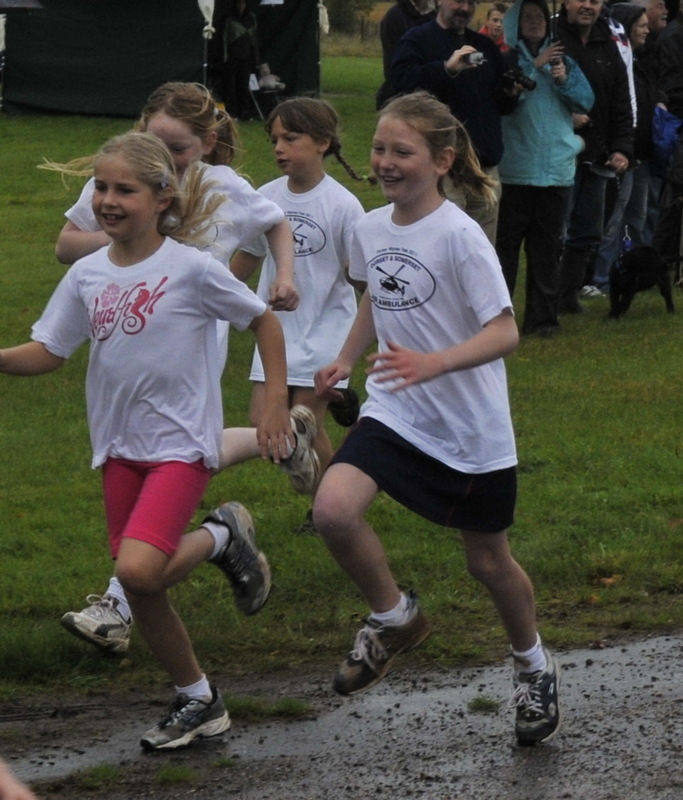 The rain didn’t stop the runners from turning up in numbers to take on the challenge of the 2k, 4k, or 10k run! With last month’s Beer Festival under Cedric’s belt, the Blackdown Hills were now a familiar site and he made no hesitation in getting us to the starting point. Arriving early gave us the opportunity to warm up the hard working event organisers who had been pitching gazebos and tents since the early hours. “Tea with plenty of sugar” quickly became a crowd pleaser. Varying widely in age from 7 to 70 the runners began to arrive from 10am, with the spectators quickly huddling around the shelter available. Hot chocolate and lemon drizzle cake made their debut appearance and had great reviews, they have earnt their spurs and are sure to feature in the next events starting line-up. The event was organised and run by Dorset and Somerset Air Ambulance, a great cause and one that we were more than happy to donate to. We would be delighted to be a part of their future events. A special thanks to Emily and Hannah who helped run the van for this event, honorary Mugs for the day.